​Eric is searching for a literary agent in order to acquire a publishing contract. He completed three novels in the Troy Evans Series of Thrillers and in 2018 finished his newest novel a political thriller titled The Body Man. In every powerful organization, there's always someone who knows where the bodies are buried. The Secret Service is no different. While agents defend the President from outside threats, who protects the Office of the Presidency? The responsibility resides with Nick Jordan, The Body Man, a mysterious member of the Secret Service known only to a select few. 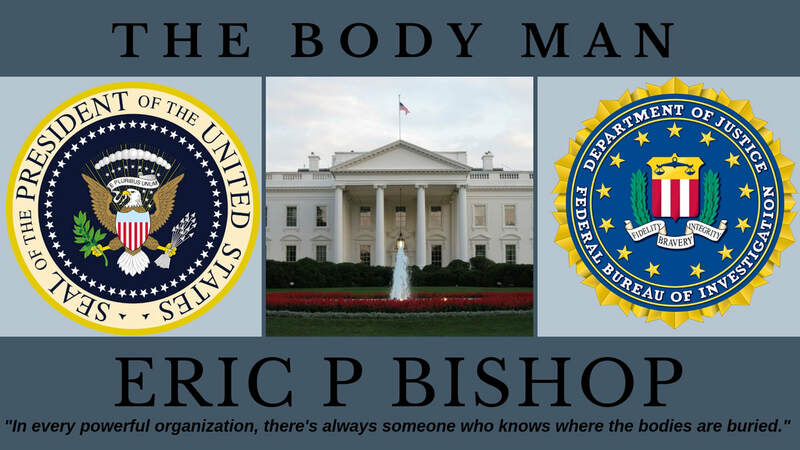 With Nick missing and his apprentice shot and left for dead; FBI Special Agent Eli Payne receives the missing person case and realizes nothing is as it appears as forces within the White House thwart the investigation at every turn. Eli quickly discovers that failure to recover the Body Man could have devastating consequences to the entire nation. ​Troy Evans Series of Thrillers. A short novella titled Ransomed Daughter was released during the summer of 2016 to rave reviews as five individual website entries. ​Get caught up in the word of Troy Evans and the Omega Group as they attempt to rescue the kidnapped daughter of a wealthy Texan oil tycoon. ​Remember not everything is what it seems. ​Project Nebuchadnezzar is a ten part novella released during 2016/2017. Click on the Blog page to follow all the action and excitement. This story once again follows the Omega Group as they embark on their most audacious mission yet. The stakes have never been higher and this time the ramifications are global. Troy Evans along with his entire team face a grave threat that will require all their skills in order to survive. And on this mission they're not alone as a new member joins their team.